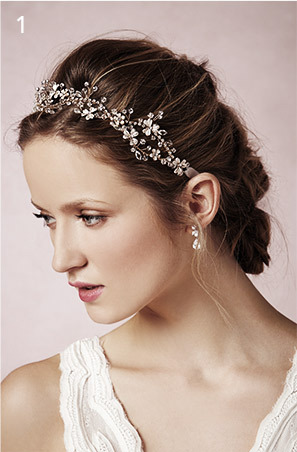 Our ever-growing collection of sparkly bridal halos can be styled (literally) endless ways. Here are our five favorites for your wedding day. 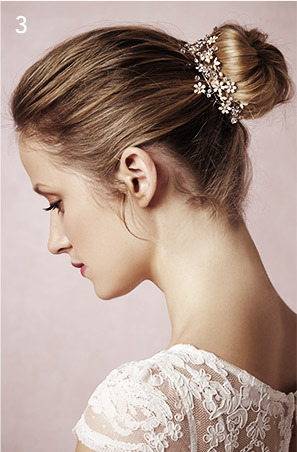 This look can be done with both updos and loose hair. Place the halo an inch or so behind your hairline and experiment with fastening the halo underneath your hair as well as on top so that the bow shows. 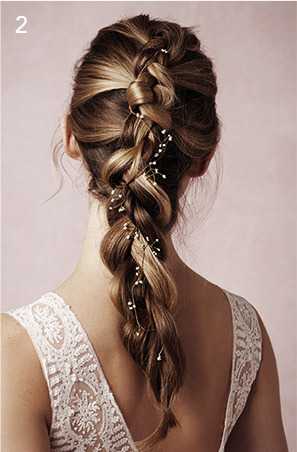 Work with your hair stylist (or a talented friend) to weave a sparkly strand through the braided style you’ve envisioned for your day. If you plan to wear your hair in a low chignon or style, consider wrapping a halo around it for sparkle that can be seen from all angles. Tuck in the ribbons for a clean look or leave them loose for something more romantic. 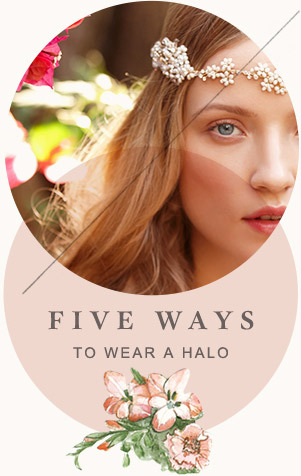 Begin by placing the halo at a flattering point along your forehead. Tie it in a small bow at the back of your head, slightly lower than the front. Almost all our halos also make lovely necklaces. 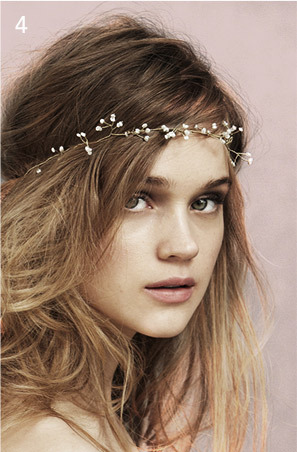 If you’re still looking for the perfect necklace, try a halo!